Ask for a private tour of our second floor. 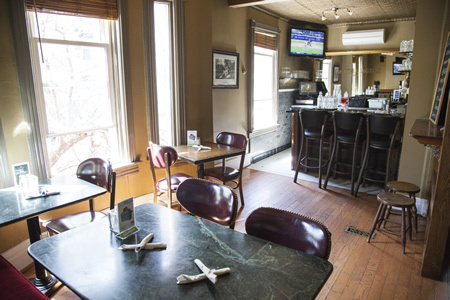 The Parkview Room on the second floor of bar Wellington is one of the best kept secrets in the area. Over the years bar Wellington and our sister venue the Bedford Academy have become known as the perfect venue to host private events and meetings. From formal presentations to surprise birthdays our second floor here at bar Wellington and the third floor Prince Arthur Room has been host to countless special occasions. Together our team of hospitality inspired professionals at both restaurants can work with you to create a plan that will ensure a successful and memorable experience. 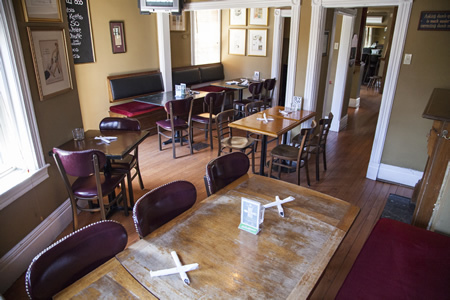 At the Welly we offer several menu selections of platters with an eclectic array of choices. Choices similar to what bar Wellington and the Bedford Academy have become known for. From casual platters with appetizers to more formal hors d’Oeuvres, together we will work with our Chef to ensure your choices match your events needs and theme. 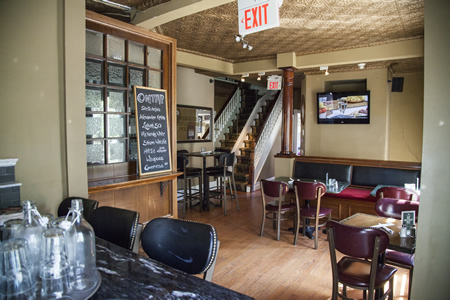 Bar Wellington's second floor Parkview Room as well as the Academy's third floor Prince Arthur Room are also available as a private and exclusive dining room. Guests will be impressed with a room that is reserved just for them! We can accommodate a private dining experience for up to twelve people or more. Together with our Chef we can create a menu for your special occasion. If you are adventurous our talented Chef's would welcome the opportunity to also work with you to create a personalized menu that is tailored to your special occasion. We would be pleased to help you organize your private function. There are a few things that we would like you to remember and consider while planning your event. It generally takes a minimum of two to three weeks to organize an event that will have an attendance of more than 10-15 people. For your event to be a success it also takes a commitment to plenty of communication with your guests promoting your function. Take it from us we have had several people with great plans for an awesome party. The ones that did not leave enough time to promote consequently were were disappointed. Others who really took the time to invest in reminding guests a week before, a day before and of course the day of the event have had the best parties ever at the Academy. Let me know when we can meet to discuss your plans! Often guests ask about our minimum spend and room rental policies. Both the Bedford Academy and Bar Wellington are located in old historical homes. As such they are comprised of several separate rooms. This allows us to offer our guests private or semi private areas. A unique and great option that makes our venues very different than most others in the city! Having the ability to offer you and your guests a private area that can certainly add to the uniqueness of your function. More often than not people do not realize how much planning we need to put into ensuring your function is a success. The area that you reserve will need to be scheduled with members of our team to specially serve your guests. Food will be specifically ordered for you ensuring it is freshly prepared for your special occasion. This is all separate from the day to day operations of our restaurants and specific to your event. A minimum spend helps us ensure that we at least cover our minimum costs. We make it our business to ensure yours and your guests experience are a positive and memorable one. Often people book anticipating a certain attendance but sometimes do not leave enough time or communication to ensure the people invited actually attend. This is usually the time when the minimum spend or room rental policies need to be applied. Consequently our advice is to always give yourself plenty of lead up time before the event to communicate with your guests details of the event. Then do it again and with an additional reminder just before the event. This will help ensure your function is a big success!